In my last post I kicked off a blog series where I discuss the gear I’ll bring while thru-hiking the CDT this year. That post also covered my big three (backpack, tent, and sleeping gear). In this post, the second in the series, I will discuss my choices for cooking, eating, water, and food storage. One of the decisions thru-hikers face is whether to carry a stove or go stoveless. I carry a stove for the same reason I carry an inflatable sleeping pad. When I was in the military we experimented a lot with operating under lack of food, sleep, and both during training for combat patrol operations in the wilderness. I learned then the huge difference that a hot meal and a good night’s sleep make for mental and physical overnight recovery. A hot meal makes wonders for an exhausted body, and it warms you up after a long day of hiking more effectively than that favorite puffy does. With very few exceptions, carrying a stove is worth it to me. What camp stove to use really depends on whether you’re cooking actual meals or mostly just boiling water. 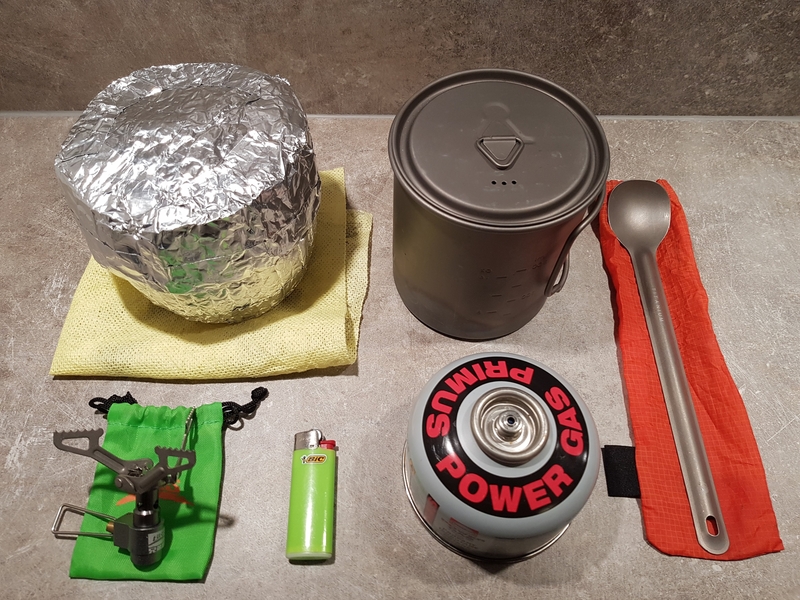 I use a tiny BRS Stove that weighs a mere 0.9 ounces to boil water in a 750 ml TOAKS titanium pot. Usually I eat oatmeal for breakfast and a rice or pasta side dish for dinner, which allows me to just add hot water and let the meal cook while sitting in a homemade pot cozy. The pot with lid weighs 3.6 ounces, and the pot cozy (that also doubles as a pretty inefficient windshield) weighs 0.9 ounces. For eating I use a 0.7 ounce TOAKS long handle spoon. I carry a BIC mini lighter and usually a small gas canister. A piece of thin kitchen wipe allows me to dry and clean the pot and also packs everything noise-free. This set weighs a total of 6.8 ounces, not including the fuel weight. So this really isn’t my area of expertise. The Swedish mountains, my neck of the woods, have abundant access to water that tastes amazing and doesn’t need filtering. For the PCT last year, however, I picked up the Sawyer Squeeze filter and I’ll use it on the CDT as well. I use this one mainly because it’s what many hikers do and I found it to work well. The only problem I’ve had with this filter is that I’ve broken one when tightening it too hard. What can I say; when you’re strong you’re strong. 😀 The Sawyer Squeeze fits perfectly on Smartwater bottles, which make those a convenient choice for water storage. 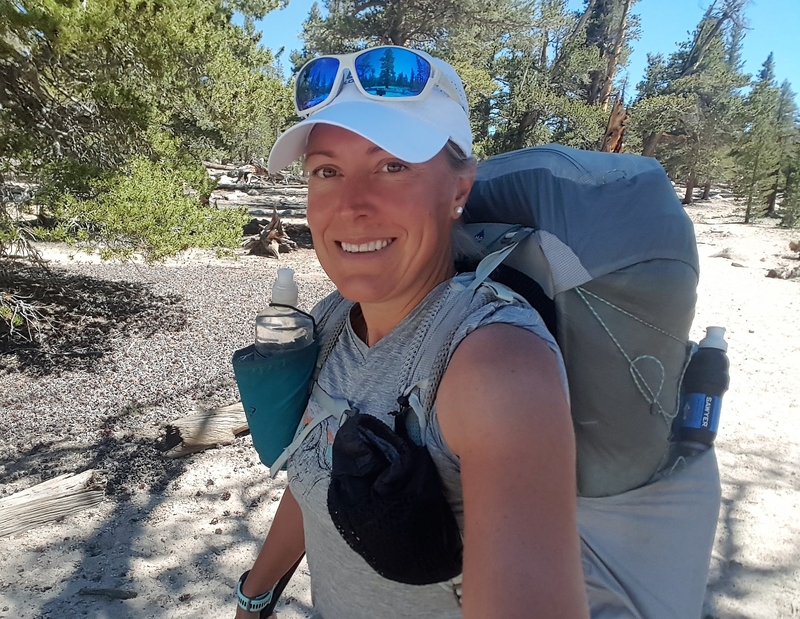 I carry up to four one-liter bottles in the side pockets of my backpack, and one 0.7 liter bottle with filtered water in a holder on my shoulder strap. The water filter weighs 2.4 ounces, the small water bottle 1.1 ounce, and the large water bottles 1.4 ounces each. I also carry a couple of Aquamira water purification tablets with me as a backup option, but haven’t had to use them so far. Once again, not something I’m that used having to consider. My homies the reindeer and lemmings never try to steal my food and I’ve always just kept it in my tent. The PCT was a different ballgame, and the CDT takes it to a whole new level by throwing grizzlies into the mix. My instincts tell me to carry a gun, put together a hiking team, and set up guard duty. Apparently this isn’t how things are done on trail, so I’m going for properly storing and hanging my food instead. I have honestly considered carrying a hard bear can, but both the weight and the bulk make me really want to avoid it. I’ve decided to keep my food in an Ursack Minor (five ounces) combined with a OPSAK odor proof bag (0.7 ounces). 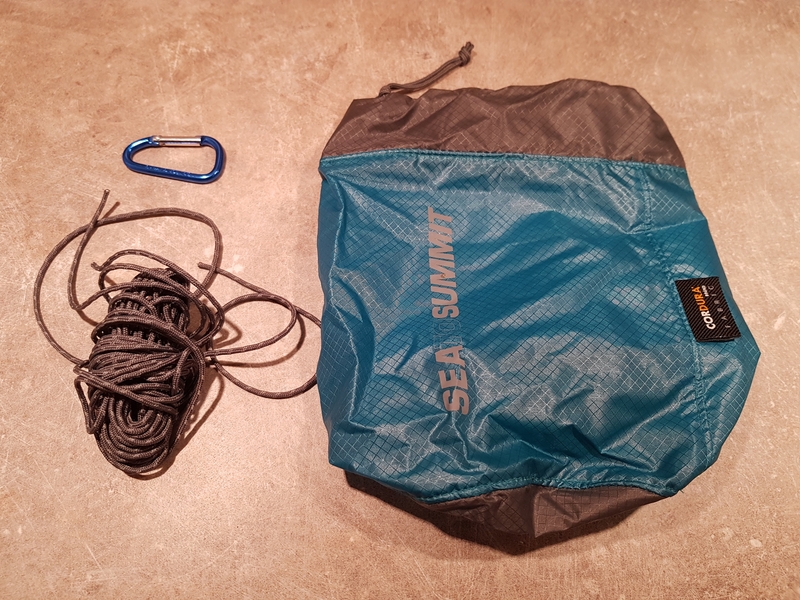 When possible I’ll hang my food and for this I’ll use a rock sack, about 50 feet of two mm cord and a mini carabiner to attach my food bag. This set weighs 2.2 ounces. Stay tuned. Up next are toiletries, medical kit, tools, and repair kit.